When it comes to health claims, most things are pure hype. It’s very rare indeed when something actually lives up to the hype or exposure it gets in the media. In fact, in my years as a health researcher, omega 3 fish oil may be the only thing that deserves all the praise heaped upon it. What’s particularly fascinating about omega 3’s is that both conventional and alternative medicine agree on how wonderful its many health benefits are. 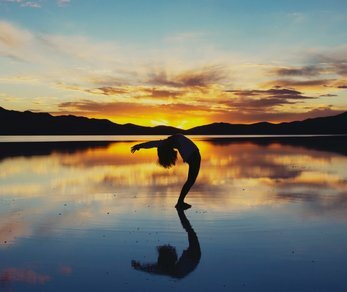 If you know anything about alternative health, or are knowledgeable about the natural health field, you’ll know this is something that doesn’t usually happen too often. Normally, conventional medicine supports the interventionist approach, not the preventative one. Studies are often released by conventional medical sources on how vitamin supplements are worthless, and using herbal remedies are almost on a par with witchcraft. Sure, I’m exaggerating — but only a bit! Mind you, I’m not saying I agree with this. In fact, I think these studies are often biased and distorted, and if you follow the money trail, you’ll see they’re often funded by pharmaceutical interests. After all, if preventative healthcare took root in a big way, the demand for prescription drugs, which you basically only need when you already have a disease or disorder, would collapse. Hmmm. In any event, it seems the evidence about omega 3 fish oil are so overwhelming that even most conventional medical practitioners will often recommend increasing their intake in the diet through foods or via supplementation. Many health experts and researchers believe that omega 3 fat is the one essential nutrient most missing in our modern day diet. This deficiency is now believed to play a major role in why there is such rampant heart disease, cancers, and brain disorders. Not surprisingly, studies have shown that many of these diseases and disorders improve when omega 3 fish oil supplementation is used. But before we talk about specific conditions that may strongly benefit from the use of omega 3 supplementation, of which purified fish oils are the best source, I’d like to tell you briefly why omega 3’s are so vital for good health to begin with. The human body requires a tremendous amount of omega 3 fish oil to function properly. The human brain is comprised of 60% fats, and approximately half of that fat is DHA omega 3. Our master organ, the one that controls our entire body, the brain, is made up of a tremendous amount of fat by weight. Most people don’t know this. And a significant portion of this fat is the omega 3 fatty acid known as DHA, short for docosahexaenoic acid. This means that nature intended the human brain to be “powered” by fats, so to speak, and if you don’t have enough, your brain won’t be able to run properly. Although it’s not a perfect metaphor, it’s somewhat like trying to run a car without fuel. However, it’s even worse, because whereas a car would simply not run, the human brain instead begins to suffer from ailments and diseases. Dedicated efforts to showcase the health advantages of omega 3 fish oil are helping spread awareness about fish oil benefits. All this information is designed to help improve your health and quality of living. But as a discerning consumer, you should be aware of this. Your health is important to you. The various advantages of fish oil are legend. But don’t just take my word for it – or anyone else’s either. Do your research. Explore other sections of this site. Study the material with a discerning (even skeptical) mind. Look for evidence and facts over emotion and passion. Then make your own decisions. So, why do I, and so many others, consider omega 3 fish oil practically a health miracle? 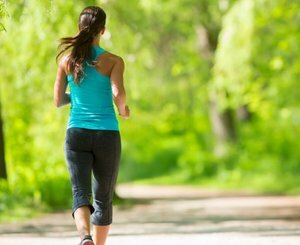 Let’s consider just some of the many conditions and disorders that it may help improve. 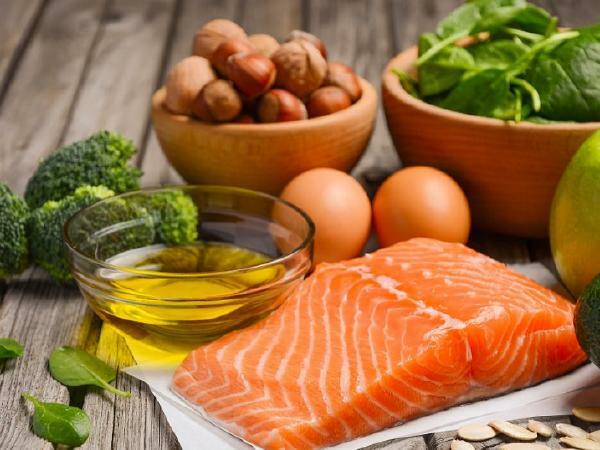 Deficiencies in omega 3 fats have been linked to: depression, anxiety, mood swings, bipolar disorder, postpartum depression, Alzheimer’s disease, ADHD and ADD. Millions upon millions of people suffer from just these conditions alone. Maybe even you do, or know a loved one who does. Researchers from institutions as prestigious as the Harvard School of Public Health have shown some of these conditions will greatly improve with increased omega 3 fatty acid intake. Other studies have shown that even if you don’t have any of these conditions, memory and focus can improve with consistent use of fish oil supplements. One of the best known and studied benefits of omega 3 fatty acids are for heart health. Until recently, this was the number #1 killer in the Western world (it has recently been surpassed by cancer). Fish oil supplements, very high in omega 3 fats, have been shown to help those with heart disease, and help protect those who don’t, but might be susceptible to it down the line due to family history. How does it do this? Well, for starters, omega 3’s can make platelets in the blood less sticky. This prevents them from clumping together, which can trigger heart attacks if they do as blood flow can stop. 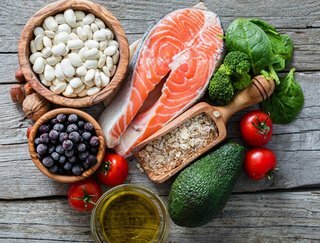 In addition, omega 3’s can reduce triglycerides — these are blood fats closely related to cholesterol — and when they are high along with cholesterol, your chances for heart disease go up markedly. Research has also shown that omega 3’s can help reduce or prevent heart rhythm abnormalities by making the electrical system of the heart stronger. Heart disease is also characterized by inflammation, and omega 3’s have potent anti-inflammatory properties that can counter this. Did you know that a lot of the aches and pains associated with arthritis are due to inflammation? 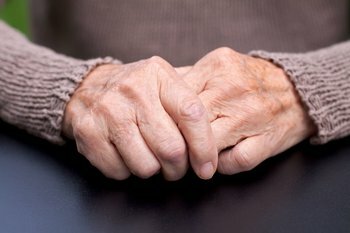 This is why studies have shown that fish oil supplementation, rich in omega 3’s, can help alleviate these pains in those who suffer from rheumatoid arthritis. The same is true for Crohn’s disease, which is characterized by painful inflammation of the bowels. Indeed, in one particular year long study, 69% of Crohn’s sufferers who used a fish oil supplement stayed symptom free as opposed to only 28% who were administered a placebo. It’s irrefutable now that for the fetus brain to develop properly, it needs a great deal of the omega 3’s, DHA and EPA. If you are a pregnant mother, you should strongly consider using a molecularly distilled fish oil supplement so your fetus’s brain has the best chance of developing properly. Of course, speak with a doctor or, better yet, a naturopathic doctor first. If you are a nursing mother, you should also be taking an omega 3 supplement or eating enough omega 3 foods because they are an essential fatty acid. Essential means our bodies need it but cannot manufacture them on its own. Which simply means we absolutely must get them from our diets. The omega 3 you obtain in your diet is passed along to your baby when you breastfeed. Even if you are no longer breastfeeding, you should be careful to take in enough omega 3 fat for your own health. If you have young children, adequate levels of omega 3 intake are associated with less attention deficit and hyperactivity and higher IQ’s. Lastly, the omega 3’s in fish oil have also been shown to help ease menstrual cramps. If you know anyone who suffers from psoriasis or acne, you know how painful and embarrassing these conditions can be. Maybe you have them yourself. One of the primary problems in these conditions is inflammation. Although fish oils are not going to cure these conditions, its anti-inflammatory properties often help make them much better. As I said earlier, cancer has now overtaken heart disease as the leading cause of death in the US. Of course, there are numerous types of cancer. Some exciting recent research is showing that omega 3’s may help prevent cancer from occurring and also help prevent it from progressing if it has already occurred. 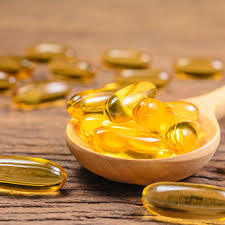 Although more studies need to be done urgently in this area, DHA and EPA omega 3’s, found in fatty fish and fish oil supplements, may protect against these types of cancers: breast, prostate, testicular, ovarian. Breast cancer in women and prostate cancer in men, in particular, and are so common and claim so many lives that any substance like omega 3 that shows great promise against them should be studied much more extensively. In the meantime, although the studies that have been conducted are not conclusively, it seems increasing one’s intake of omega 3 fats can help in the battle against cancer. Please understand that this page is not exhaustive. I could write another 10 pages on the miracle of omega 3 fatty acids, and include a discussion of other conditions such as lupus and Raynaud’s disease. But I think you’re starting to get the picture. And that picture is that if there’s one supplement most everyone should take to fight disease, keep the brain sharp, and stay in peak health, it should be an omega 3 supplement. And the best kind? Again, purified fish oil supplements, especially those made from a fatty type fish species naturally high in DHA especially, and also EPA. What’s Wrong With The Modern Diet? Modern farming practices – for both the meat and agricultural industries – has made food a lot less nutritious than it used to be. One of the consequences is that foods that used to contain high levels of omega 3 fats are now a poor source. In a nutshell, large scale farming raises meat for one purpose: profit. There’s nothing wrong with profit per se, but when you are feeding millions of people, you want to raise the animals as fast as you can, make them as fat as you can, so you can produce as much meat as you can. What this means it that the beef, chicken, lamb, etc., you name it, that you buy at the local grocery store is typically grain-fed and fattened meat. By contrast, it’s the animals natural diet, like grass-grazing cattle and lamb that makes them such naturally rich sources of omega 3’s. Once you force them to eat grain-based feed to fatten them up, their omega 3 content virtually disappears. You’ve all heard the saying that you are what you eat. Well, animals are what they eat too. And if you eat the animals….then you are what they eat. And that is largely grains and corns. What about fish? Unfortunately, fatty fish, the formerly best source of omega 3’s, harbors many pollutants. And many of these are very dangerous, like PCB’s, mercury, lead, and the like. This is simply due to industrial pollution that has accumulated in many of the oceans and waterways of the world. Well, if you want all the benefits of omega 3 fatty acids without the harmful toxins that you’d get by eating a lot of fish, the solution is to take a molecularly distilled fish oil supplement. Molecular distillation allows the oils to be separated from the bad contaminants. The rich, healthy omega 3 oils can then be encapsulated into soft gels for easy swallowing. Of course, there’s a little more to it than this, but this is the most important point to understand. Not only are purified fish oil supplements the best source, they are also the most economical. A month’s supply of top notch product will set you back less than $20 dollars a month. If you go buy a few filets of salmon or tuna at the local fish market, you’ll spend that much just for one dinner. If you’ve decided that you should start including a fish oil supplement as part of your daily health regimen, what you need to do now is know how to compare one brand against another. This, of course, will allow you to get great value for money and the best product you can buy. I have compared dozens of brands before deciding on one. What’s I’ve found is it’s neither the most expensive nor least expensive products that are best. Some products cost more because they are heavily marketed or have celebrity endorsements. This means they charge more so they can pay for all that marketing, not because the product is necessarily better. On the other end of the spectrum, some products are ridiculously cheap. Upon further investigation you find out the oils aren’t molecularly distilled (which means they harbor contaminants), or the fish species being used isn’t rich in omega 3’s, or that the oils have no process to keep them fresh. Fish oils are subject to oxidation quickly….that’s a process by which they go rancid. Taking oxidized fish oils can actually harm your health! These are my criteria for evaluation of fish oil supplements. Type of fish being used — is it naturally high in DHA and EPA omega 3? And especially DHA? Is the fish caught locally to where the product is produced, ensuring freshness? Or is rancidity a concern? Does the product tell you the exact breakdown between DHA omega 3 and EPA omega 3 and not just the total omega 3 content per serving? Does it even tell you the total omega 3 per serving? How many servings does it contain per bottle? If you have the answer to these types of questions, then you can do true price comparisons to see what kind of value you are getting. For example, if product A costs $18 dollars for a month’s supply, and product B costs $16 dollars for a month’s supply, most people just think, well, product B is a better buy. Not so fast! Let’s just take one of the above criteria. What if product A has 1,000 mg of omega 3 per capsule, and product B has 500 mg. They both have 60 soft gels, and the recommended dosage is 2 per day, which means it’s a one month supply of product for each. Well, now the $16 dollar product definitely doesn’t seem like the better buy because product A is only $2 dollars more but contains twice the omega 3 fats per capsule. So, you see, there’s a little analysis and research that goes into this. And none of that analysis is difficult. And, believe me, it’s worth doing it. Omega 3’s are indisputably one of the most important substances for good health and well-being and if you are going to use a product like I have for years and conceivably take it for the rest of your life, doing a few minutes of research as you have just done by reading this page, can pay off immensely over the years when it comes to your health and your family’s health. After researching the market and doing just the type of comparisons I mention above, I decided a fish oil supplement product from New Zealand was the best one available. Here’s why I decided on this product. 1. It is made from a fish species called hoki. Hoki are a sustainable, natural resource regulated by the New Zealand government. They thrive natively in the cold, deep waters off the Southern coast of New Zealand, one of the most pristine areas of the world, virtually untouched by industry and pollution issues. 2. Even more important, hoki are one of the few fish species very naturally high in omega 3 fish oil, particularly containing a higher level of DHA omega 3 than EPA omega 3. DHA can be converted by the body into EPA when more EPA is needed, but not the other way around. It’s very important your fish oil supplements have more DHA than EPA. 3. The fish oil is molecularly distilled, like products produced by a company called Xtend-Life Natural Products. Why does it need molecular distillation if the fish is already coming from the cleanest area of the world? Because nature can create pollution too! Just think how much contamination is spewed into the atmosphere and waters when a volcano erupts, for example. All fish oil products should undergo molecular distillation, period. 4. Cost. Given the amount of DHA and EPA, and total omega 3 per serving, I have yet to find a better priced product than the Omega 3 fish oils produced by Xtend-Life Natural Products. This is when you do a real apples to apples comparison. Many others have now have been using the Xtend-Life Omega 3 fish oil product for years, including entire families taking the decision to be healthier. In my opinion, it has been, and will continue to be, one of the best health decisions you have ever made. Especially when it comes to dollar to dollar value. It amazes me that people will spend hundreds upon hundreds of dollars (sometimes well over a thousand dollars) per month for organic produce, grass-fed meats, smoothies, gym memberships, etc., in order to try to live a healthier lifestyle — and all of these things can be good — but for less than $30 dollars a month they can be doing more good for their health than many of these things put together. 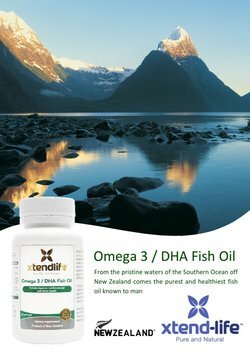 Even if you decide on using a different brand than the Xtend-Life fish oils, you should at least read the information presented at their page, as it will educate you much further, and in simple fashion, on how to choose a really good omega 3 fish oil product. Here are some more related articles you might find interesting.